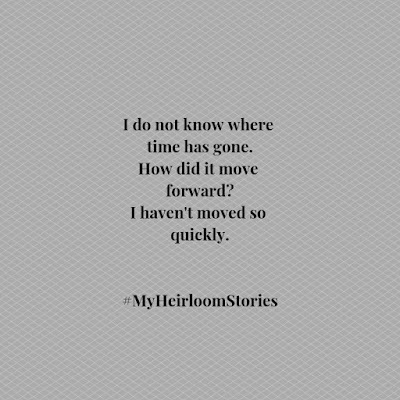 After my father passed away time changed, for a long time it felt slow--marked by what happened before and after. And this reads how I had felt in those early months and years. Sometimes I still can't believe it, and sigh into the knowing that he is gone, as another year turns. It's easy to know how long as my son was born the following year after his death. Parenthood and grief-hood have both grown me so much, side by side. 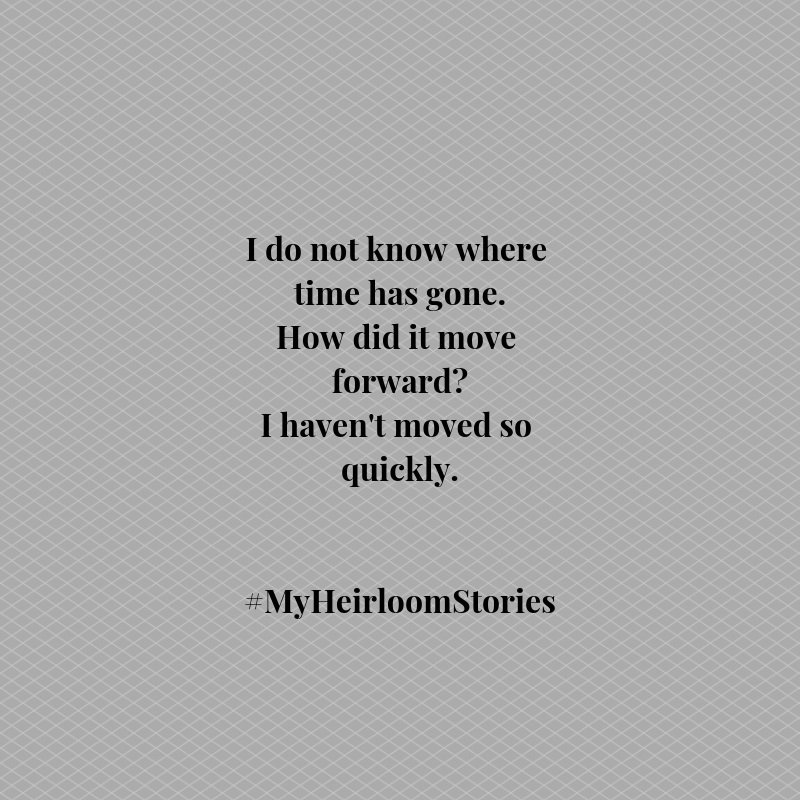 More on grief, heirlooms and carrying on: www.8Heirlooms.com And on my narrative podcast series on iTunes here.